Get Ready To Make A Splash Again in 2019! Music SHOWCASE Festivals introduced this exciting location in 2017 and once again we are offering the Kalahari Resort Waterparks at two exciting locations for 2019! The "COOLEST" Festival ever. 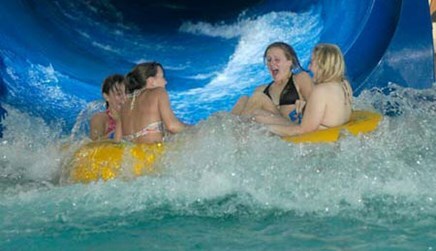 We have added the Kalahari Resort Waterparks to our festival offerings. You will be swept away! 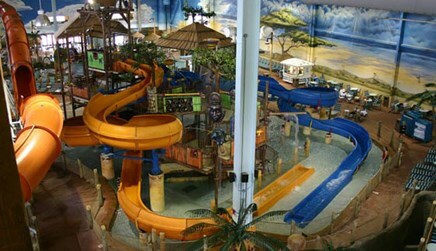 **With 100,000 square feet of wet and wild indoor fun, no matter what the weather is like outside, you and your students can splish and splash all day long in one of America's largest indoor waterparks. Popular attractions include the FlowRider, the twists and turns of the Anaconda and Swahili Swirl waterslides, relaxing lazy river, Splashdown Safari, indoor/outdoor hot tubs and so much more! Adjudication will take place at a local school. Try something new in 2019! Register today! 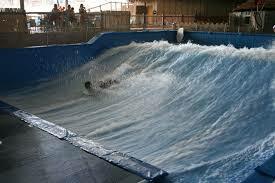 ** This is a general description of the water parks and each location is different and offers different features. Space is limited at each location as the water park is open with priority to the resort guest in addition to outside guests. This information is for Directors to register their groups. Please do not call the Resorts individually as we work with various staff members for group events. Our staff can answer any question you may have about this event. Overnight packages can be quoted on request and are subject to availability. A meal voucher can be added to the 1-day festival package for $18 per person.